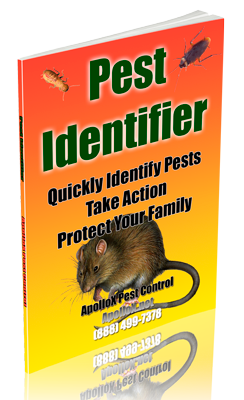 ApolloX Pest Control will remove yellow jackets from your home quickly, efficiently, and safely. Yellowjackets are house fly-sized wasps with distinct yellow and black head/face, patterned abdomen markings and a few hairs. 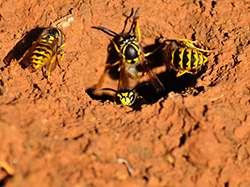 Yellowjackets construct a type of paper nest, tan in color, much smaller in size compared to the hornet nest, and is usually found in an underground cavity. Common locations for nests are in lawns, particularly in sandy exposed areas, as well as at the base of trees or shrubs. Occasionally, yellowjackets will nest in attics or walls voids of houses or storage buildings.They can be found any place humans can be found. Check near recycling bins or other areas where sugar is common. They become more aggressive in autumn they begin to die out. 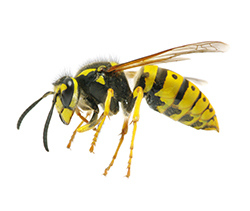 An individual hornet or yellow jacket queen begins building a nest alone in the spring. Once a queen has produced enough workers to take over nest-building and foraging duties, she remains inside producing more offspring. The workers expand the nest, forage for food, feed the young and defend the nest. 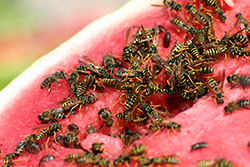 Like other predatory wasps, their diet consists mainly of other insects such as flies and bees. They continue to enlarge the nest until fall when there may be 600-800 yellowjacket workers. 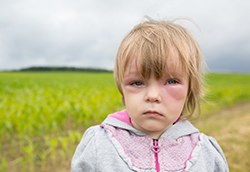 Yellowjackets, in particular, may be late season pests around picnics, trash cans, and humming bird feeders as they scavenge. The only way to control this situation is to locate and destroy the nest, which is rarely possible unless accomplished by a professional. 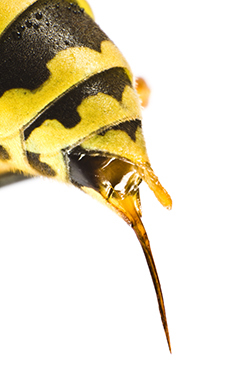 Yellowjacket venom wages a staged attack against the nervous system on a cellular level. 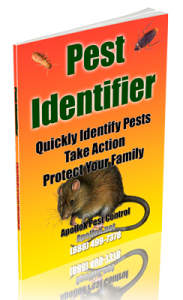 Call ApolloX Pest Control for yellowjackets pest control in the Fairfield County CT towns of Fairfield, Black Rock, Bridgeport, Cos Cob, Darien, Easton, Greenfield Hill, Greenwich, New Canaan, Noroton, North Stamford, Norwalk, Old Greenwich, Redding (lower), Ridgefield (lower), Riverside, Rowayton, Shelton, Southport, Stamford, Stratford, Trumbull, Weston, Westport & Wilton.